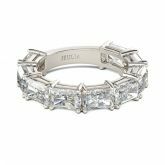 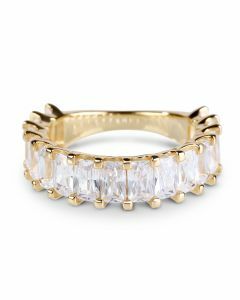 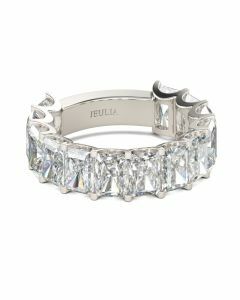 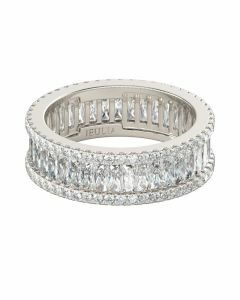 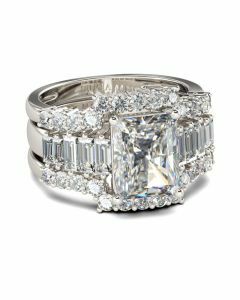 Stunning as a wedding or anniversary band, this elegant design features nine glittering radiant-cut stones artfully arranged across the band in durable prong settings. The stones in this band shine brightly enough to be deserving as a symbol of your love. 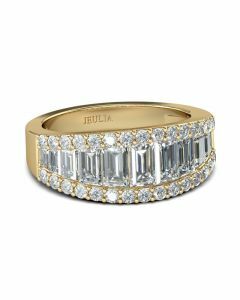 This band is a brilliant reminder of your everlasting romance.